Marvel Unlimited, Marvel’s digital comics subscription service, is offering an annual membership of unlimited reading for $60 for the first year – that’s just $5 a month! Through 2/28/18 11:59 PM ET, new and former subscribers can join Marvel Unlimited at a low monthly rate of $5, gaining a digital library of 20,000+ comics delivered through your desktop web browser and the Marvel Unlimited mobile app! With a cavalcade of comics spanning 75+ years of Marvel history, Marvel Unlimited continues to grow weekly, with newer titles added as early as six months after they’re in stores! 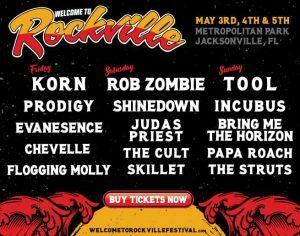 See below for offer details. Join as an annual member today and apply promo code PANTHER to have this incredible, curated experience at your fingertips! Marvel Unlimited is a perfect jumping off point for those new to the Marvel Universe and for acquainted fans looking to find fresh reading! Trying comics for the first time and don’t know where to start? Visit Marvel Unlimited’s DISCOVER section and uncover new pathways into the Marvel Universe by searching for events, themed lists and stories featuring your favorite characters and creators. And what better place to start than our essential reading list for BLACK PANTHER? Marvel Unlimited is perfect for on-the-go reading! This amazing service is accessible on the web and through the Marvel Unlimited app on iPhone®, iPad® and Android™ devices. Read hundreds of issues featuring the AVENGERS, SPIDER-MAN, DOCTOR STRANGE and IRON MAN, or binge read hit series like BLACK PANTHER (2016), written by MacArthur Genius and National Book Award winner Ta-Nehisi Coates! Try other Marvel Unlimited favorites like STAR WARS (2015) and AVENGERS (2016)! An unlimited universe of 20,000+ comics awaits! Join today using promo code PANTHER, and enjoy your first year’s subscription for just $5 a month! Act now – this offer ends 2/28/18 11:59 PM ET! *Offer valid 1/29/18 12:00 AM ET to 2/28/18 11:59 PM ET on annual memberships only. First year billed at $60; subsequent years billed annually to the payment card on file at the then-current annual subscription fee (currently $69 per year) unless and until cancelled. 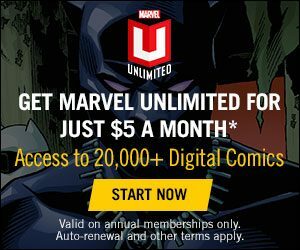 Offer is not open to current Marvel Unlimited members. Valid payment card required to redeem offer. Auto-renewal and other terms and conditions apply. Cancel anytime through My Account following registration or by e-mailing onlinesupport@marvel.com. All subscription fees are nonrefundable. No refunds or credits for partial subscription terms. See marvel.com/unlimited for additional offer details.